If all your stuff was packed away, what would you miss most? I have access to 5% or less of my stuff at the moment, because most of it is packed into boxes awaiting our big house move on Tuesday. Do I miss that other stuff in the 60 boxes? Well, yes and no. Books aside—because I still love mine (though I’ve given loads away) and I’m a specialist collector—do we need the ornaments, piles of kitchen gadgets, knick knacks, souvenirs, shoes, bags, bathroom paraphernalia, cushions, pictures, 25 wine glasses and 20 towels? The answer? I think it’s no. We just kind-of acquire this stuff and then become attached to it, because we think it has something to do with identity. I’m still me without the ceramic cats from Thailand that hang over my bookcase, without the enormous glass fish I bought cheap at auction when a favourite bar closed, without the three wise men statues I bought in Beijing, and without the coloured-light replica of The Space Needle building I bought in Seattle (pictured, above). But actually, I do want these things, because they’re sentimental. 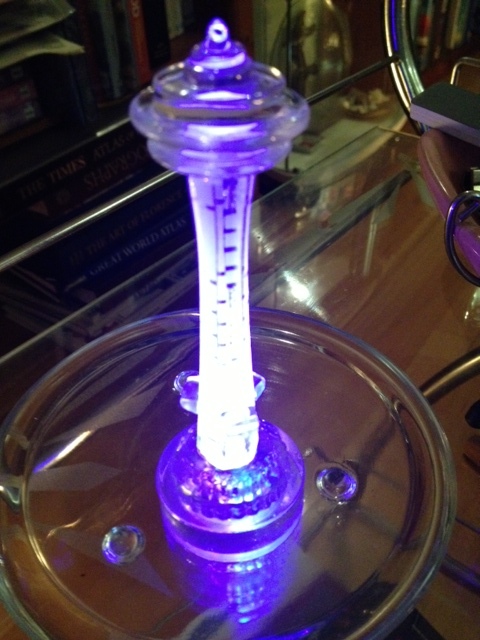 But there are some things I could happily divest myself of. Ninety percent of my clothes are sealed in a box now, but I don’t care, because I wear only a small proportion of my clothes regularly. I think about it this way: last year, I went to the US for about four weeks and I took a small bag the size of carry-on luggage (though I always check mine so I don’t have to carry it). That was fine, as long as I remembered to find a washing machine every three days. So, if I can survive for four weeks with this small bag of clothes, why not forever? The other thing we’ve done is not replenished the food in our fridge or cupboards as we usually do. We’re down to loaves and fishes-type dishes now, if you know what I mean, but they’ve worked out just fine. We spend a lot of extra money on whims with food, and we end up throwing some of it out. In fact, I’ve read government statistics that say about 40% of the food Australians buy ends up being thrown away because it goes off before people can eat it. You can read more about that here. And the thing I miss most about not having access to my stuff? My art equipment! 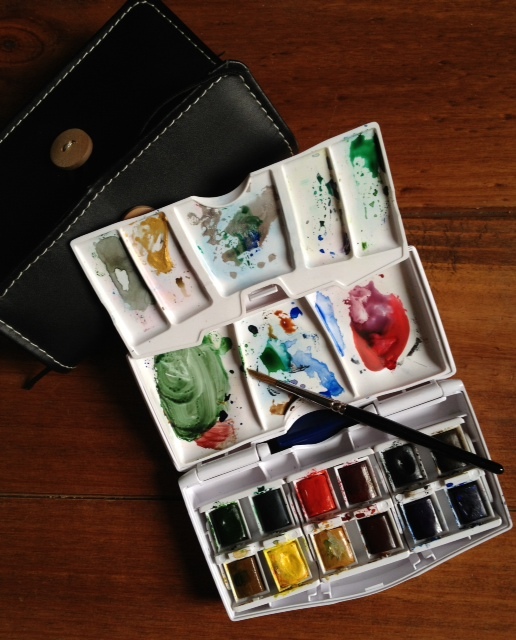 I wish I’d put aside my little travelling paint kit to keep me company this week. Oh well, I’ll see it all next week on the other side of the city. My study…or what’s left of it. 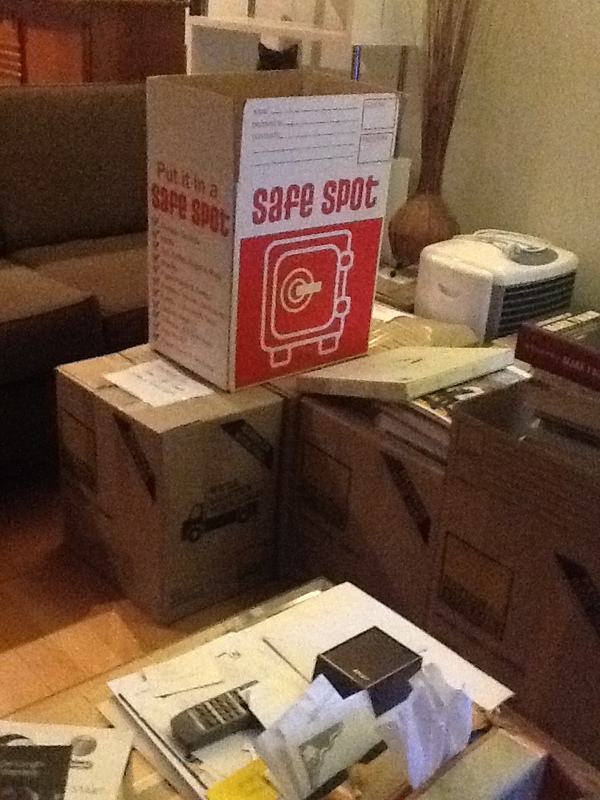 Yes, we’re moving in a few days, after our long-time rental accommodation was sold and vacant possession required. It will be my 46th address, and I’ve lived in 13 cities or towns in five countries. We are moving from the inner-city funkiness of Northcote, Melbourne, to a cute double-storey townhouse in an outer suburb that still has a country village feel to it. We get much more for our money out there, and we’ll be paying $60 less a week in rent. AND, we can hardly wait for next summer and the first 40-degree (Celsius) day, because guess what? Now, we have airconditioning! In another advantage, it’s easier for me to get to work, and I’ll be catching one train each way instead of two. It’s also closer to my mother: instead of a 145km round trip to her place, it’s about 35. But she’ll be happy when she gets to the new place and sees her new little private courtyard—this is one of the main reasons we took the new place, because she is an indoor cat, but she likes to have somewhere safe on which to sun herself and chase moths. 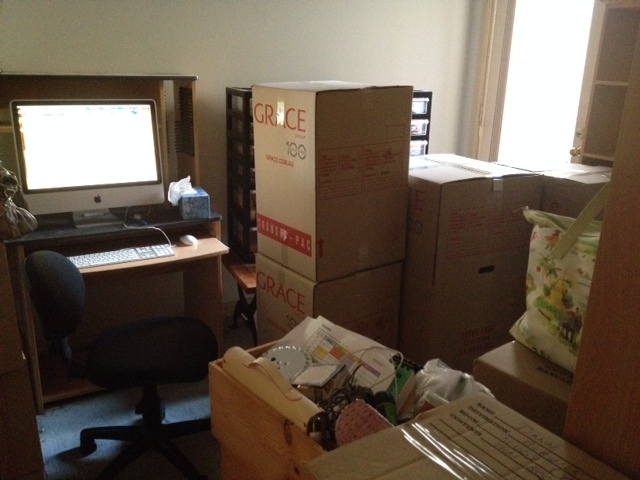 Despite all the advantages of the move, we will be sad to leave Northcote. 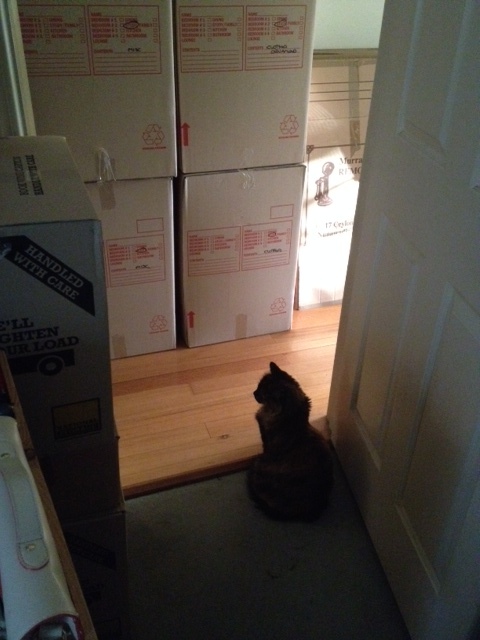 It’s strange when the packing’s been done but you haven’t quite moved in to the other place yet: you’re in a kind of limbo, not really living at either address. You haven’t moved on to the next place, but you can’t go back to life as you knew it at the other.